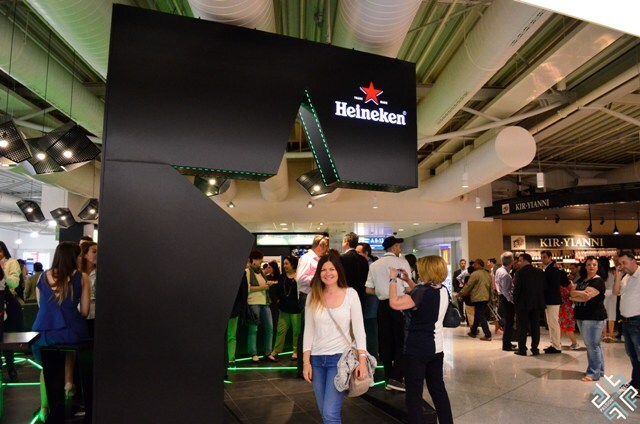 On Wednesday 13 May 2015 members of Travel Bloggers Greece were invited to the launch event of the new Heineken Star Bar which is located at the international departures of the Athens International El. Venizelos Airport. 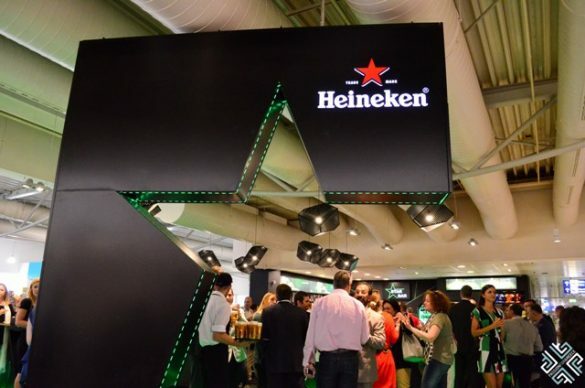 The event was organized by the Advocate Burson-Marsteller, a PR company to their client Athenian Brewery who are the representatives of the Heineken beer in Greece. Myself and fellow travel blogger Rebecca Hall of Life Beyond Borders blog where excited to spend the afternoon at the airport without actually going anywhere. This was a first one for me, when you get to pass the passport control feeling like a total VIP and just hang out at the airport, drink beer and enjoy the company without having to worry about missing your flight. Nevertheless, for those who are actually traveling, this bar has been designed to offer ample space and great atmosphere where you can relax before catching your flight. It’s a Star Bar indeed! 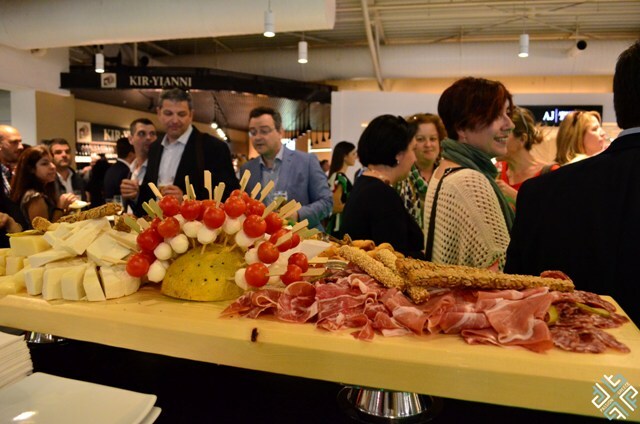 A great buffet was served with delicious tuna and salmon sandwiches and plenty of prosciutto, there were other sandwiches too but for me the tuna and salmon are always top! Having spent time in different airports, this type of bar at the airport is definitely a first for me, I haven’t seen anything like it in any other destinations that I have been to, and I have been to a few. 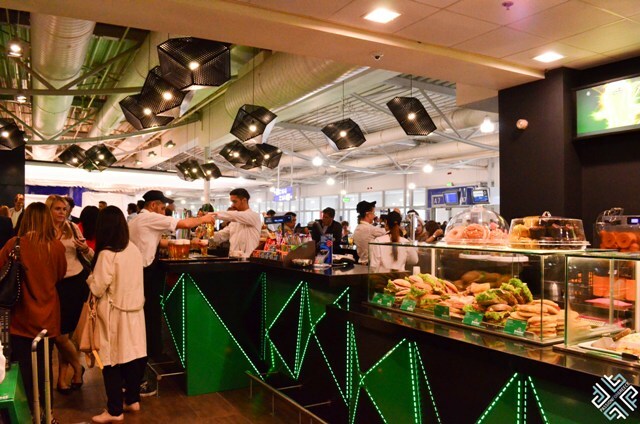 So next time you find yourself at the international departures of the Athens International Airport, you know where to go. Star Bar of course! 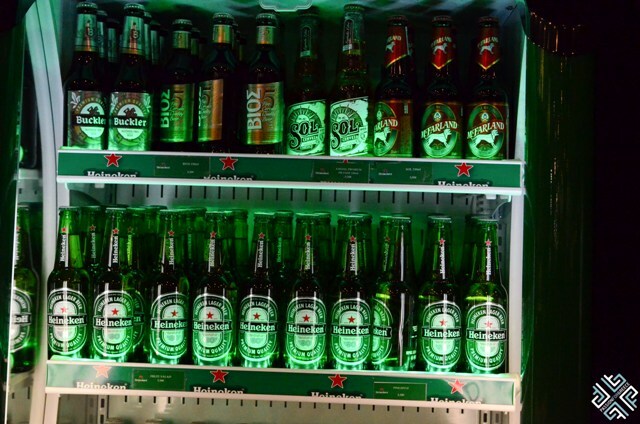 The following day we got a surprise delivery to our home, yes, Heineken came bearing gifts too! 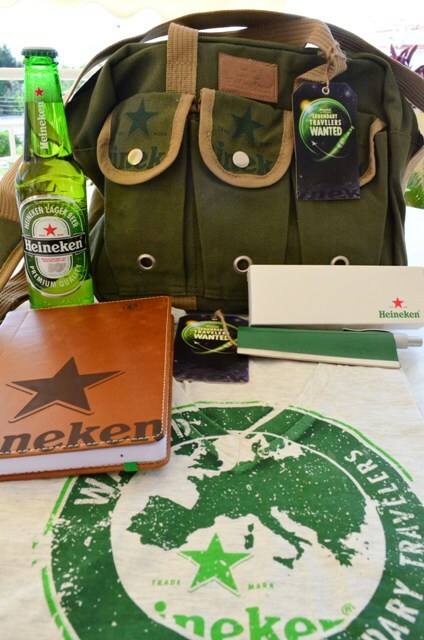 An awesome bag full of Heineken goodies: t-shirt, diary, pen and a bottle of beer! 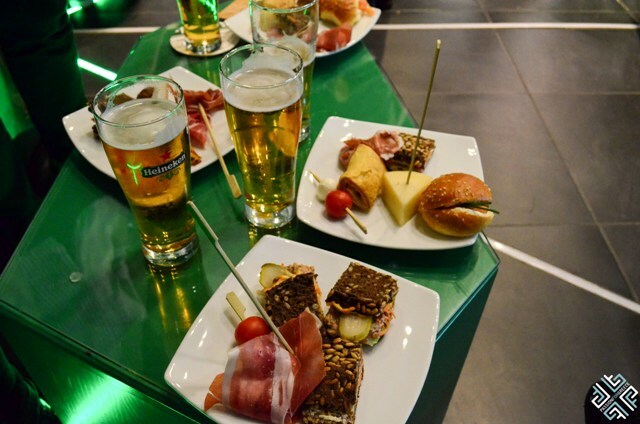 Thank you Heineken for this fun experience!